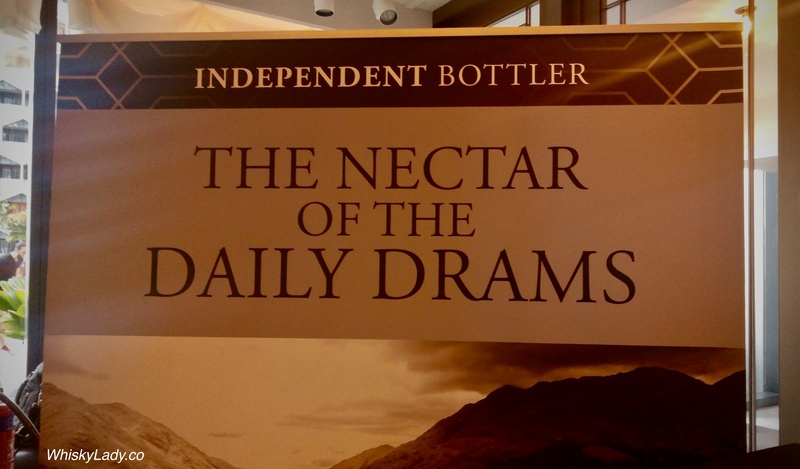 So what is The Nector of the Daily Drams? 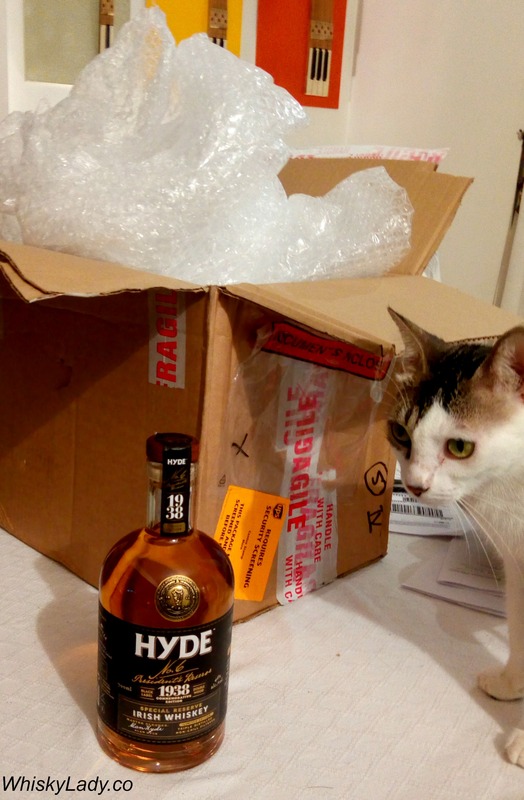 It is the name of a range of whiskies bottled by The Nectar (Belgian whisky importer and distributor). They’ve been around since 2006 and are primarily focused on the BeNeLux market. 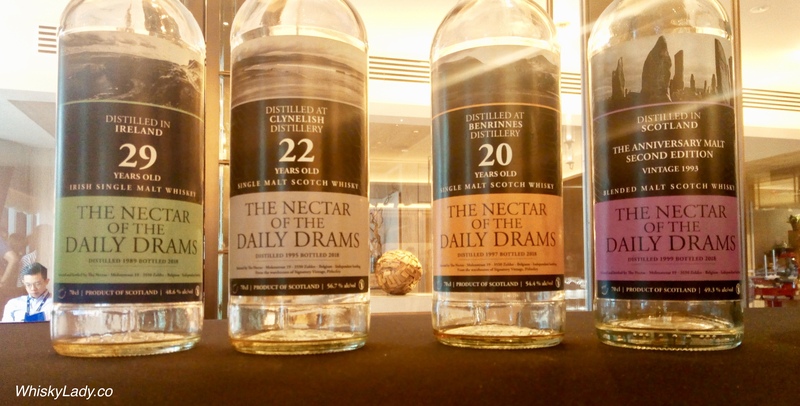 However, you can find them in other markets – specifically in Singapore – through La Maison du Whisky. And who was with us in Singapore? Mario Groteklaes, Marketing & Sales Director who also is primarily responsible for cask selection of their Daily Drams whisky series. Now I must share, Mario thought my taking a few scribbled notes while tasting nonsense – quite clearly drams are to be enjoyed not dissected and detailed. 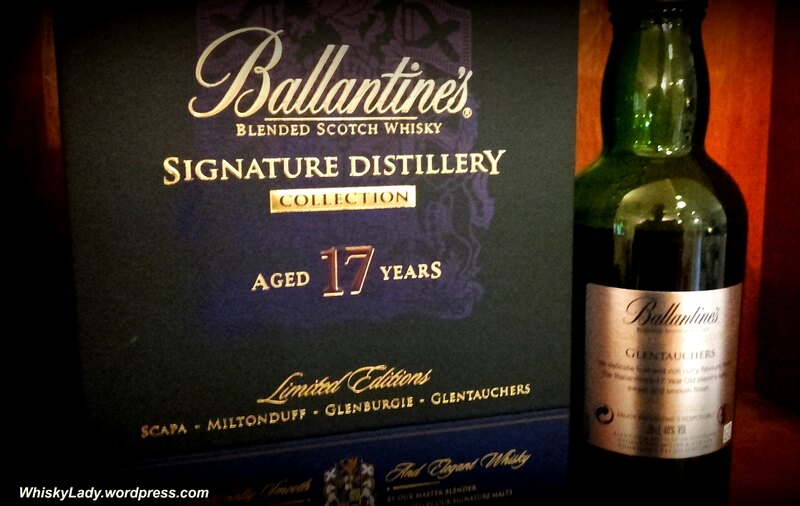 My companion and I selected two different whiskies each – sharing a few sips with each other. Then chose another two… again sharing – a most civilized approach! 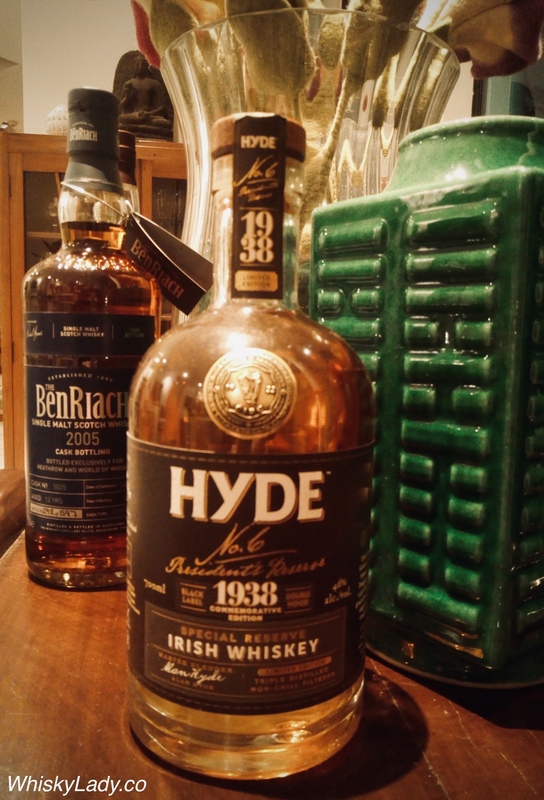 We had different plans for this evening – a much anticipated combined night with our Bombay Malt & Cigar gents… However it was not do be so what to do instead? 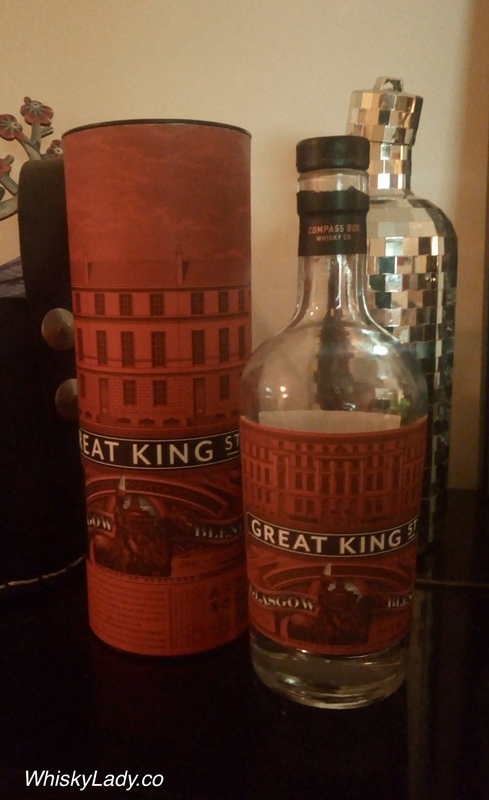 It turned out every bottle could be purchased (at one time) at duty-free and yet each was certainly a cut above the standard travel retail fare. 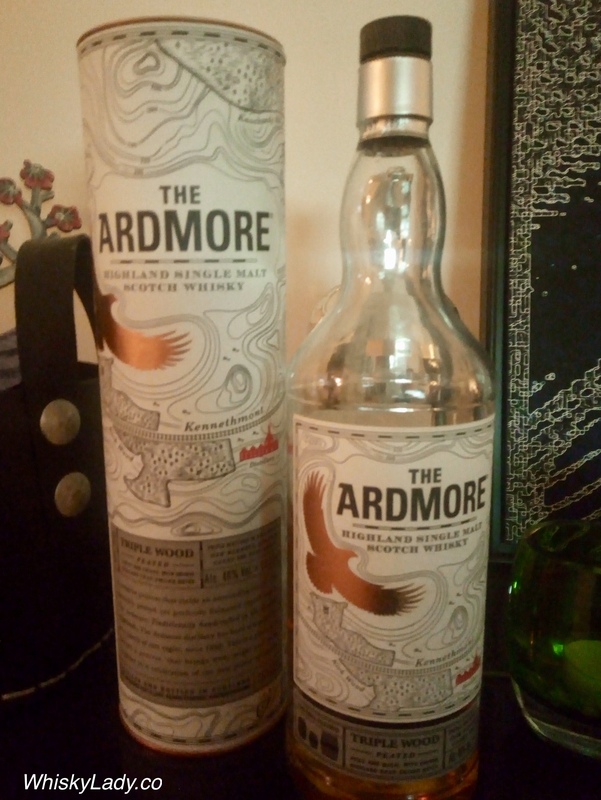 It also just so happened that each had a touch of smoke… from a mere hint with the Old Pulteney and Glenmorangie to a more pronounced puff of peat with the Compass Box Great King Street Glasgow Blend and Armore Triple Wood Peat. 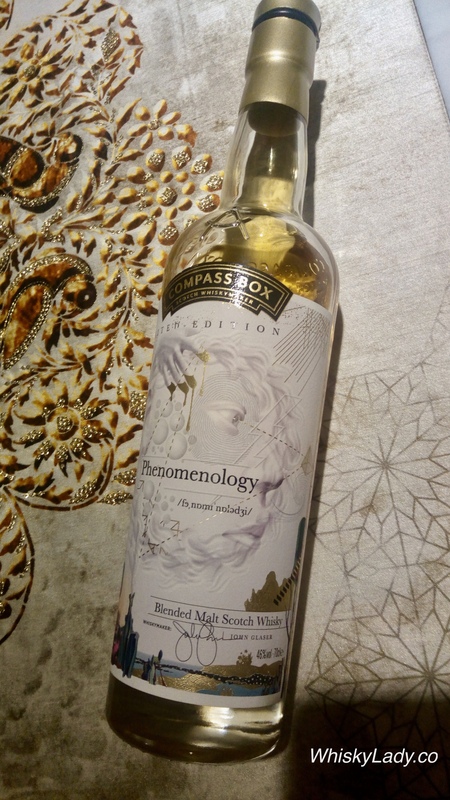 In an unplanned twist, all three single malts were also from Highland distilleries… with the delightful Compass Box blend a terrific foil with some highland whiskies too. Overall it proved to be a most enjoyable quartet and a good reminder to not dismiss what you may find when perusing airport wares – at least in some select airports around the world! The funny thing about Canadians is we pop up all over the globe. 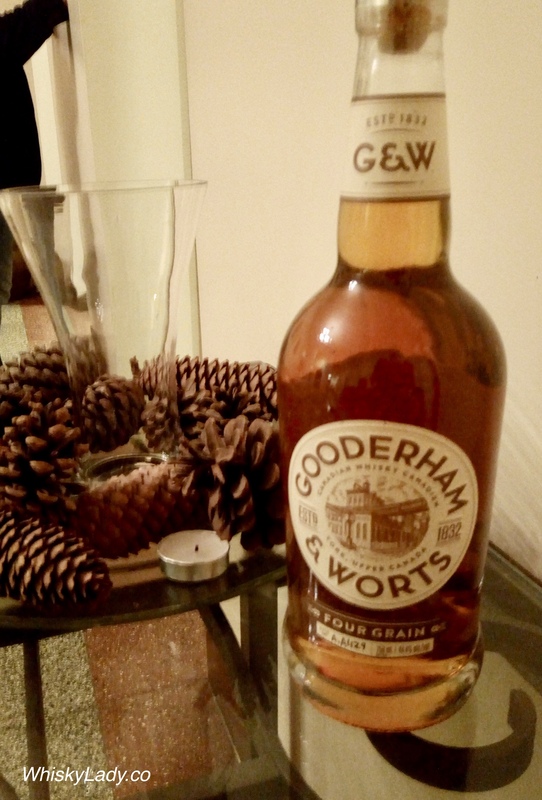 It just so happens that one of our Bombay Malt and Cigar members is married to a fellow Canadian… and happened to have a trip back there recently… and just so happened to pick up a few bottles of Canadian whisky. 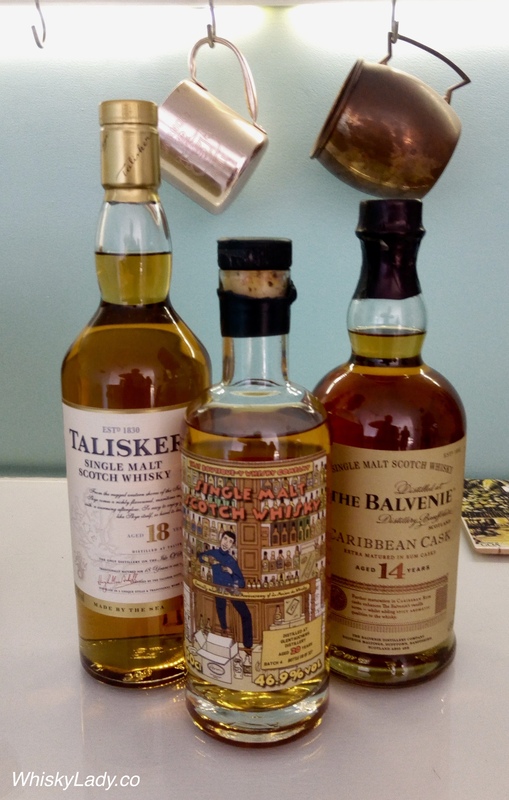 Which meant this month, our Bombay Malt and Cigar group was temporarily dubbed the “Bombay Canadian Club” with a chance to check out some offerings from my home and native land Canada! Read on in the coming days for more details and impressions about our tasting experiences. 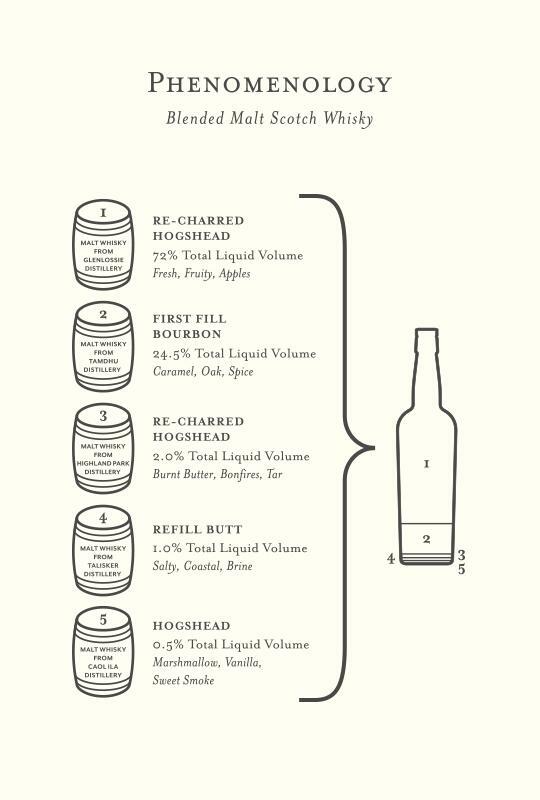 What was clear across the board is that these were all quite approachable and easy to enjoy whiskies. Not a single one was priced above CND 100, with most around (or even below) the C$50 mark. Making them equally approachable on the financial front as well. 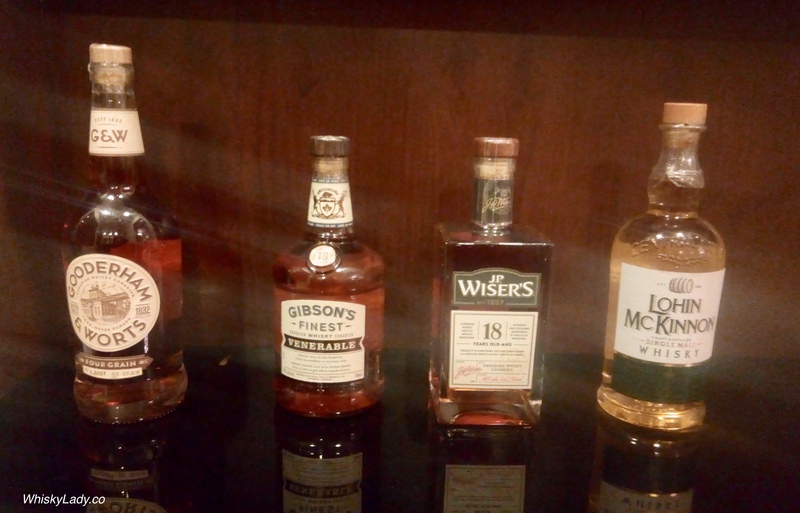 However in terms of availability, some may need an extra check to see which local Canadian LCB (Liquor Control Board) has stock… as not all are “standard” fare. 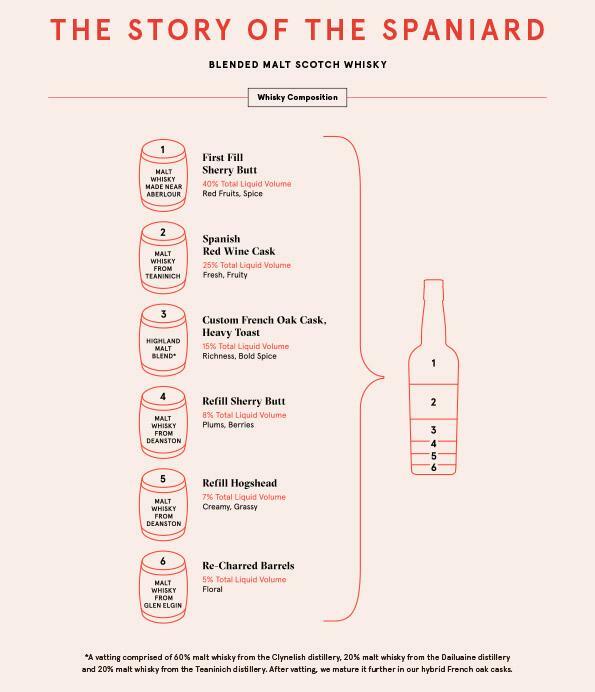 Case in point, our host really did try to track down other single malts such as Shelter Point… alas not a drop to be found where he went in the East or West!